Last entry is 1 hour before we close! 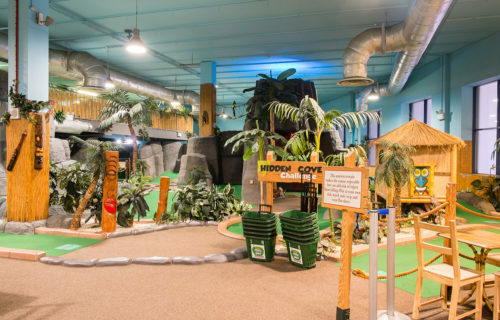 England’s first Indoor Adventure Golf Complex featuring two brand-new themed 18-hole courses. 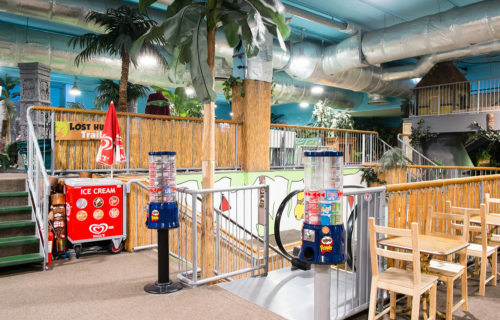 We are located indoors on our own lush tropical ‘Adventure Island’ at StarCity, Birmingham. 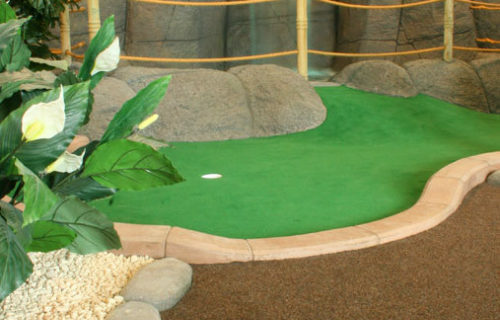 Our courses have been built across three levels and wind past palm trees and volcanoes, through caves, behind waterfalls and through Tiki Villages, providing a fantastic and fun leisure experience for all! Student Night - Bring your student card and play all 36 holes for the price of 18! Buy one get one free when playing 36 holes. Family Night - A family of four will receive £2 off the cost of their golf. 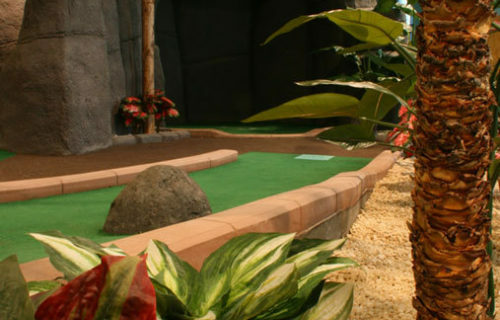 MONDAY NIGHT - UNLIMITED MINI GOLF! Every Monday from 6pm, we offer everyone that visits us the chance to play for as long as you like for just £7.50. This means you can play 3,4,5 or more times on each course for less than the cost of 36 holes! 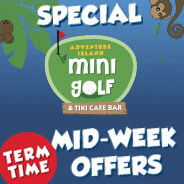 Bring along your student card and get to play all 36 holes for the price of just 18. For every person that pays to play both courses, we'll let a friend or family member play all 36 holes at the same time for free! Families of 4 or more will receive £2 off the cost of their golf every Thursday.